If you ever find yourself in need of professional assistance, our garage door experts are here for you. For examples of our work, check out some of the latest projects we completed. 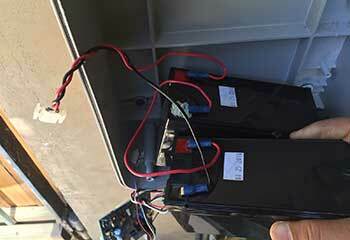 Customer Issue: When a customer’s door refused to close, our team suspected a sensor issue was the cause. Our Solution: Some testing along the door’s length found the sensors to be out of alignment. Our team unplugged the opener and locked the door open, and then removed and adjusted the sensors and tested them again. The problem was solved. 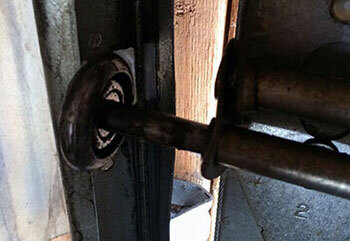 Customer Issue: Broken roller causing the garage door to shake. Our Solution: Our check revealed the problem almost instantly. There was a broken roller and we installed a new one of the same size and type - steel stem and nylon wheel, in its place. 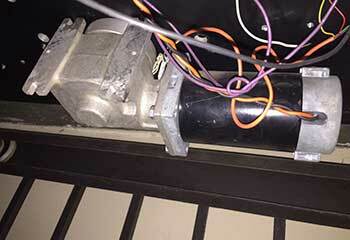 Customer Issue: Failed chain drive garage door opener. Our Solution: We examined closely the faulty LiftMaster 3245 chain drive opener and discovered a broken moving gear inside the motor unit. Our solution involved replacing the gear with a matching one and readjusting the settings for more effective operation. Customer Issue: Broken torsion spring. 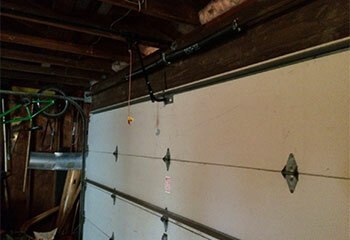 Our Solution: We removed the two pieces of the broken torsion spring from the shaft and installed a new one with enough force to match the weight of the steel garage door. The next steps involved winding and light lubrication for smooth performance. Our test confirmed the spring was working properly. If you're looking for excellent repair specialists, you can stop looking. We follow the highest possible standards when we work. We'll be there to help you on the very same day you call. You can count on our team for an affordable and effective solution to any problem.